Despite rain putting a damper on the event, the annual Glitters & Glow block party still set downtown Glendale aglow Saturday night. 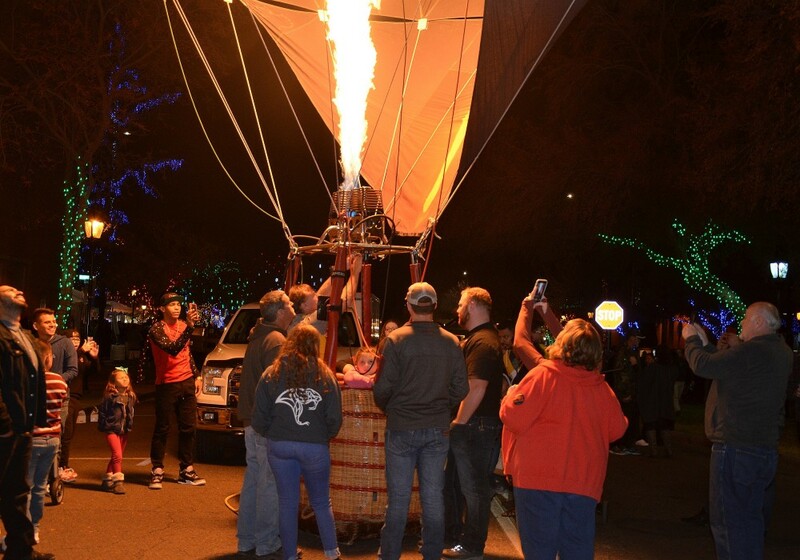 Several hot air balloons added to the shine 1.6 million Christmas lights across 16 blocks downtown. The free event was scheduled to last until 10 p.m. 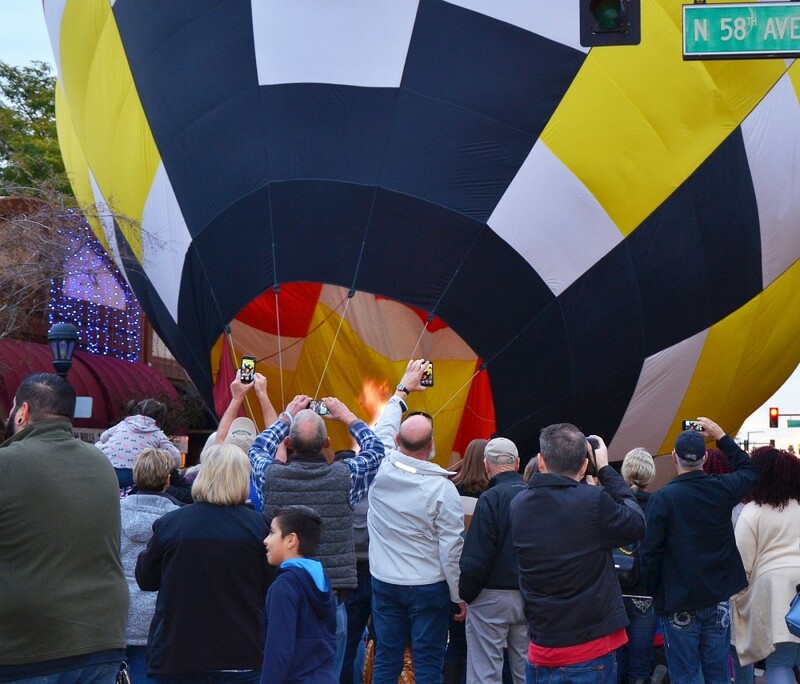 However, rain showers caused the hot air balloons to come down quickly about 7 p.m.
Glendale Glitters & Glow is the finale for the seven-week Glendale Glitters season in downtown. During Glitters, the 1.6 million lights switch on each night and several weekends include free programming. 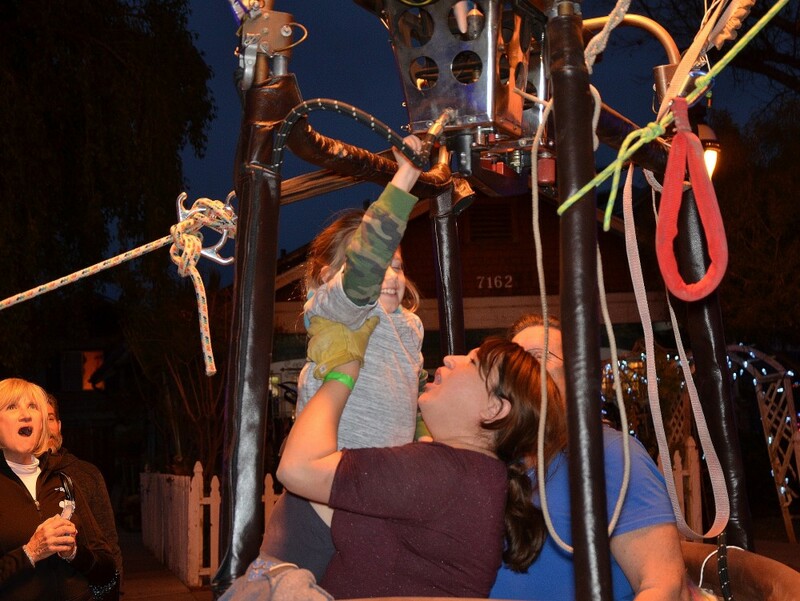 While the balloons filled downtown with light, live music filled it with sound. 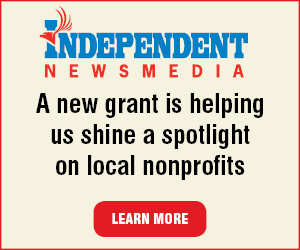 Performers included DJ Dangerous, 76thStreet, Soul Power, Phoenix Conservator of Music Concert Stage, Cheap Hotels, Randy Altergott, Pandy Raye Duo and Westhills Brothers Duo. Vendors sold food and drink, including beer and wine, and inflatable rides were available for a fee. The balloons had to come down early because of how they’re affected by the rain. When the balloon, or envelope, is inflated, the top of the balloon reaches 212 degrees Fahrenheit, the temperature at which water boils. When it rains, the rain cools the balloon and the air in the envelope. Then the pilot must use the burners more to keep the balloon in the air. Even a little rain makes it more difficult for the pilot to control the balloon.